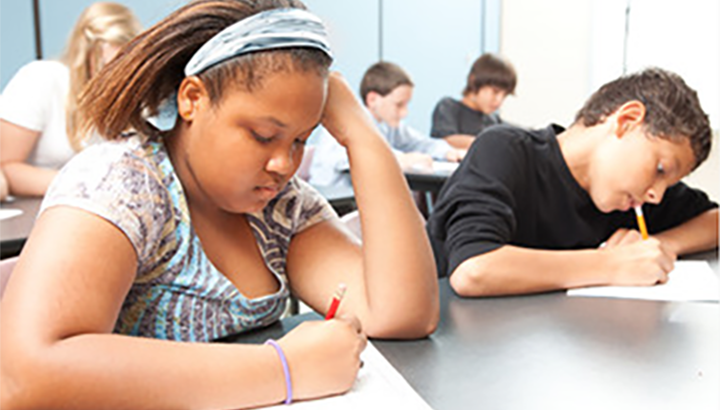 Last year, students around the state began taking a new, more rigorous test, Partnership for Assessment of Readiness for College and Career (PARCC), to assess their learning in math and English, as well as critical thinking, problem-solving abilities. The 2015 scores were low, and school officials considered the results a baseline. This year, the PARCC results released by the Maryland State Department of Education in September for Maryland’s 882 elementary, 420 middle and 232 high schools were mixed. Among the more encouraging results statewide were that overall, third-, fourth- and fifth-graders’ scores went up significantly in math. However, English scores went down dramatically, particularly in all elementary and middle school grades. Overall, Baltimore County Public Schools children did not fare well. At the nine area high schools, no more than 25 percent of the 10th graders met expectations in Algebra I and the majority of students at each of these high schools did not score a passing level in English. The area middle school scores were also not good, with roughly two-thirds of students at most of the schools failing to meet expectations. Fort Garrison, Summit Park and Franklin elementary schools were among the highest performers. More than 80 percent of 10th graders at Western School of Technology and Environmental Science in Catonsville met or exceeded expectations in English, and less than 25 percent did so in math. Woodlawn, Milford, Owings Mills and Randallstown high school students performed below expectations in English and math. PARCC assessments are scored on a five-point scale: performance level 1 is defined as not meeting expectations, level 2 as partially meeting expectations, level 3 as approaching expectations, level 4 as meeting expectations, and level 5 as exceeding expectations. Results range from 650 to 850 and a student has to earn a passing score of at least 750 to meet expectations. Russ Brown, BCPS chief accountability and performance management officer, attributed Baltimore County students’ low scores to a “flawed test” due to its design. The online version of the test, taken by all elementary school students and some middle and high school students, he said, is “substantially harder” than the print version and students are still getting used to it. Cheryl Pasteur, the education committee chair for the NAACP Randallstown, and a former principal of Randallstown High School, said everyone has a role—parent, students, the administration in ensuring that students are prepared for the next level. “Good scores are attainable in this community because I know that we have parents and children in this community who are bright, gifted and capable,” she said. “The negative scores do not reflect what our children are capable of doing. I would hate for anybody to pigeonhole them by looking at those scores. We are not attaining them because there is not the kind of consistency from the time a child walks into the school to the time they take the test in terms of instruction, how you implement the instruction and how you work with the children in how to actually be able to meet those ends. Scores on the PARCC assessment are not being used for student, educator, school, or system-level accountability purposes at this time, according to the Department of Education. Maryland is currently in the midst of reviewing and revising its accountability system, under the new federal Every Student Succeeds Act. In 2015 Maryland implemented the new PARCC state assessments in reading and mathematics. The new assessments replace the Maryland School Assessments in English and Mathematics in grades 3-8, and replace the High School Assessments in Algebra and English 10 for all students not graduating in 2015. The Northwest Voice highlighted the results for elementary, middle and high schools in the area. You can also view the complete results by county and school at MdReportCard.org.